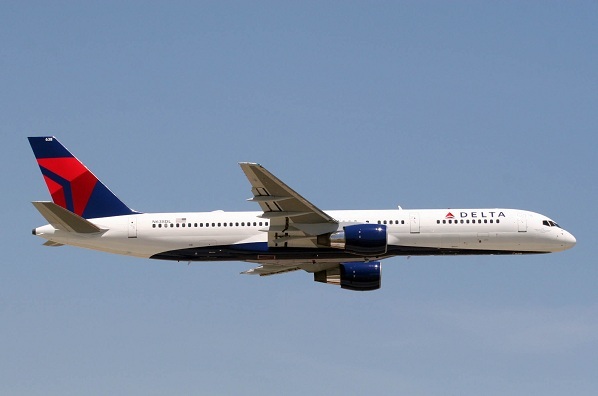 Breaking Travel News: What differentiates Delta from other US airlines operating in Latin America? 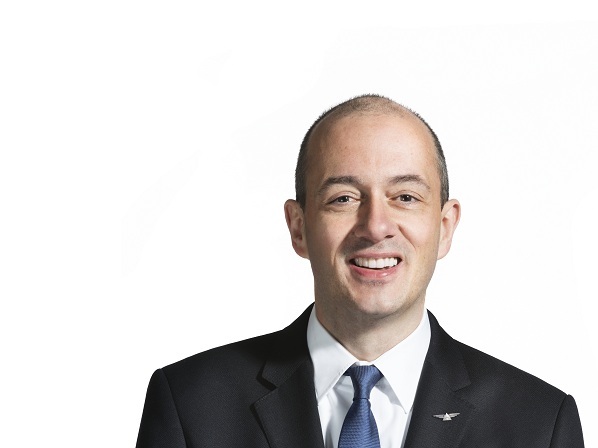 Nicolas Ferri: Delta has the goal of being the best US airline in Latin America and the Caribbean. Best represents products, service delivery, network reach as well as every other aspect of the travel experience being laser focused on the customer and in the case of Latin America, with special emphasis on the needs and expectations of the Latin and US Hispanic customer. We are a global carrier with worldwide travel options. But we recognise that to continue winning on the global stage, our approach does need to be tailored to the regions we serve. And Latin America is, in many regards, at the forefront of these regionalisation efforts. Over the last few years we have transformed the way we relate to customers in the region. This started by an internal effort to make Delta more Latin ‘friendly’. We have literally over 1,000 employees who have volunteered to become Latin America Ambassadors. They have been trained and have been given tools to share Delta’s service to the region in their respective communities. We have invested heavily across the board from on-board services, to staffing, to in-language reading material as well as new products, technology and of course new routes. Our partnership with travel agencies and corporate accounts are, in our opinion, best in class. Our Atlanta hub has been transformed to include all customer signage in Spanish as well as in English. Announcements are also fully bilingual. And the customer is noticing. Our customer ratings are the best they have ever been. And we are only just getting started, in many respects. Every day, we work to be closer to the Latin American and Caribbean markets strengthening the quality of all our services. BTN: Why would a global company like Delta decide to put much focus on this region? NF: Our investments in the region are a strategic response to growth and opportunities. The region has an emerging middle class - that has grown 50 per cent from 2003 to 2009, which fuels the economy. Brazil and Mexico are key growth drivers over the next six years. Corporate travel between the US and Latin countries has increased 14 per cent year over year for the last three years, and GDP in Latin countries is forecast to grow four per cent per year through 2020 and beyond. The United States is the region’s largest trading partner, tourism to the region is growing exponentially and the Hispanic population is the largest ethnic community in the US. Delta’s hubs in Atlanta and New York are perfectly positioned, geographically, to connect travellers from Latin America to top business destinations through US, Europe and Asia. A stronger middle class represents increase purchasing capacity and the US remains an aspiration destination across the region. This is resulting in projected air traffic annual growth of 6.9 per cent over the next 20 years – also among the highest in the world. Growing the Delta business both organically and through our partners is our main focus, as is transforming Delta’s position in the region to a durable long-term enterprise. We are well position to succeed with more than 1,500 weekly flights to 52 destinations in 32 countries across the region, as well as the partnerships with GOL Linhas Aéreas Inteligentes in Brazil, Aeroméxico in Mexico and Aerolíneas Argentinas in Argentina. BTN: What is Delta’s added value from the product and service point of view? NF: Our aim is to continuously find innovative ways to differentiate Delta One experience for customers. We offer full flatbed seats with direct aisle access that gives customers more privacy to work or rest on their way. This product is currently available in Latin America for routes between Argentina, Chile, Brazil, Peru and the US. These flights also offer Delta’s popular Delta Comfort + seating in the forward section of the Main cabin. Delta Comfort + offers additional legroom and 50 per cent more recline compared to standard economy seats. All cabins offer in-seat audio and video on demand with a broad range of in-flight entertainment options. 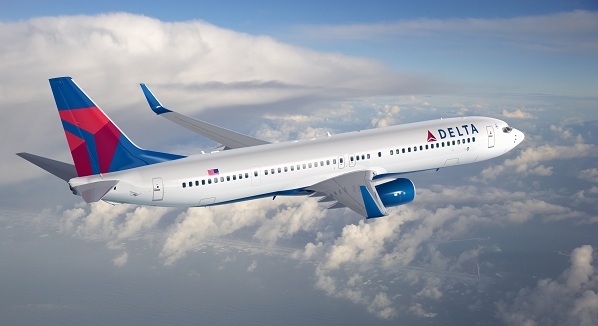 Delta also will introduce in-flight Wi-Fi service on international flights beginning in 2014 and has announced plans to expand the service to more than 150 international aircraft by the end of 2015. We have also established real time assistance channels in Spanish and Portuguese on Twitter along with a page dedicated to Brazil on Facebook. In addition, Delta continues its investment in technological innovation to improve the customer experience. On board, passengers will enjoy a full range of premium products for a comfortable, relaxed, and productive in-flight experience. This includes a Latin-inspired menu for Delta One and First Class passengers based on Miami Chef Michelle Bernstein’s recipes and an upgraded premium wine program by Delta´s Master Sommelier Andrea Robinson. On offer are typical meals from Argentina, Brazil and Mexico (dulce de leche, pão de queijo, fajitas); as well as wines from Argentina and Chile and traditional drinks from Brazil and México. Delta also offers express food for the passengers who want to sleep and relax more. Delta’s fleet also features state-of-the-art entertainment system with library of 250 movies, 100 TV programs, 50 hours of HBO, video games and kid-friendly programs, priority check-in and baggage claim, Westin Heavenly in-Flight bedding designed and manufactured exclusively for Delta, and the new amenity kit featuring Tumi and Malin+Goetz products. BTN: How would you describe Delta´s growth through new routes to the region? NF: While our focus is not to be the biggest, we have seen an increasing demand for more connections to some leisure and business destinations in the region. In the last five years, our capacity to the region has grown by more than 40 per cent. Atlanta is not only the busiest airport in the world, but it is also uniquely positioned to serve Latin America & Caribbean particularly well. You can reach 80 per cent of the US population in two-to-three hours and our connectivity far exceeds what is offered by other gateways. In addition, we are also expanding our presence in Los Angeles. With service to 14 cities in Mexico and Central America, Delta serves more destinations to LAC from Los Angeles than any other airline. It is very important to offer better options to business travellers between Mexico and the US, and Central American ethnic groups living in that city. New service is also coming from Atlanta to Medellin and Cartagena in Colombia starting on December 19th. The Atlanta-Medellin route will provide excellent connectivity to Barcelona, London and Madrid; Atlanta-Cartagena route will offer great opportunities for leisure travel. In addition to the organic growth that has expanded flying to the region, a key tenet in our growth and success strategy are our alliances. Our relationship with GOL Linhas Aéreas Inteligentes in Brazil, Aeroméxico in Mexico and Aerolíneas Argentinas provides our customers greater benefits. Delta and its regional partners leverage each other’s strengths to give our customers more travel options, more ways to benefit from frequent traveller programs and a larger network to travel. BTN: How important are these alliances to Delta’s regional growth strategy? NF: The core of our strategy goes to achieving greater synergies with Aeroméxico and GOL alliances that define Delta’s regional business plan. The key is to continue transforming the business to make the customer experience even better by building an added value proposal that exceeds what could be done individually. Delta has an important codeshare alliance with Aeroméxico allowing both airlines to strengthen services, create an enhanced customer travel experience, and offer the power and reach of our complementary networks. The joint Aircraft Maintenance, Repair and Overhaul Center TechOps Mexico, opened a year ago, is one of main results of a long-term alliance between Delta and Aeroméxico. And a Joint Venture between the two companies is in the final stages of regulatory approval. Three years after we announced our enhanced long-term exclusive alliance with GOL; we accomplished the alliance immediate objectives: expand the codeshare agreement, provide additional benefits to the airlines’ loyal customers and offer a consistent experience at airports. The partnership offers flights to about 380 destinations in more than 62 countries, and provides network coverage to 99 per cent of Brazilian and US customer demand between the countries. BTN: What is your vision on Delta’s position for the coming years in Latin America? NF: We definitely will be the best U.S. airline in Latin America and the Caribbean. Our alliance partnerships will have developed even further and the Delta brand will be even stronger. We will be key players in the communities we serve and will continue to tailor our products and services to the needs and expectations of our customers across the region. Network growth will also be a consistent feature.